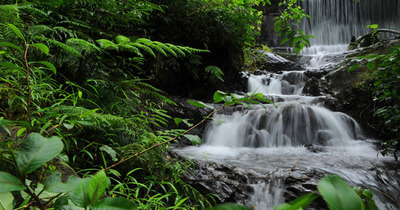 Located 29 km from Kalpetta in Wayanad district, this waterfall is one of the topmost attractions in Wayanad. 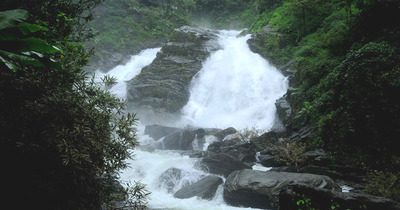 The three tired waterfall, at a height of 300m is the biggest waterfalls in Wayanad and the second largest in Kerala. The name ‘Meenmutty’ derived from the concept that the fishes are blocked here. ‘Meen’ means ‘fish’ and ‘Mutty’ means ‘blocked’ and thus ‘Meenmutty’. To reach this waterfall, you will have to go for a two kilometer trek through the moist deciduous forest. Though it seems to be difficult, you will forget all the tiresome of the journey, once you reach the waterfalls. Meenmutty waterfall is considered to be a dangerous spot. So, you should be more careful while playing with the water. The best time to visit Meenmutty is from October to May. Visiting during monsoon season is not recommended. 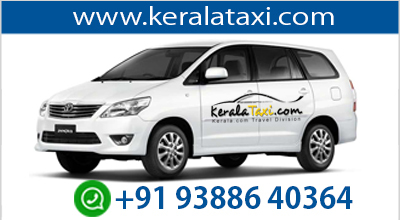 You can hire buses or taxis from Kalpetta to reach Meenmutty. 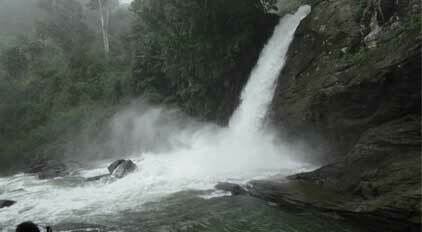 Soochipara waterfall is a three tiered waterfall at Vellarimala in Wayanad. This waterfall, surrounded by dense green forest, is also known as Sentinel Rock Waterfall. A 20 minute drive from Meppadi in Wayanad will take you to this splendid waterfall. The name Soochipara derived from the words ‘soochi’ and ‘para’ means ‘rock’ and ‘needle’. The name given is apt as you can see needle shaped rock here. You have to walk around 2 km to reach the waterfall, where vehicles can’t move further. You have to pay a nominal fee for entrance and camera. From the entrance you need to descend down to reach the falls. The water here cascades down from a height of 100 to 200 ft and this waterfall is an ideal place for trekking and rock climbing. You can sight a pool beneath this falls and here you can go for swimming and bathing. Best time to visit Soochipara waterfall is during monsoon season as you can see the waterfall at its fullest. The destination is well connected to nearby places. So, you will not find any difficulty to reach here. Twenty two kilometers away from Kalpetta, you can find Kanthanpara waterfalls. The breathtaking attraction of the path leading to Kanthanpara waterfall seems to more beautiful than the fall itself. The waterfall is only 30 m high and comparatively, this is one is smaller than Meenmutty and Soochipara. This waterfall is very safe for children. They can enjoy here utmost. One of the reasons for people preferring this waterfall is the picturesque beauty of the nature surrounding the waterfalls and the other reason is that Kanthanpara fall is very easy to access than the other waterfalls in Wayanad. You can make use of the bus or taxi services to reach this beautiful destination. Just 12 km apart Sulthan Bathery lays the spectacular Chethalayam waterfalls. You will get an extraordinary experience here at this falls which seems to be an abode of nature’s magic. A 4 km trek through the woodlands will take you to the falls. You will have to pay a nominal entrance fee. 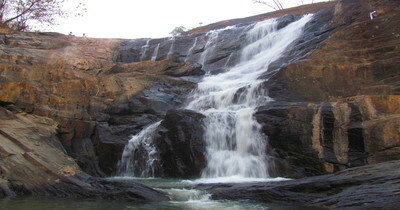 Chethalayam waterfall will be an ideal place for you to plan a trekking. You can have an adventurous walk through the scenic beauty, sloppy mountains and fabulous surroundings. Best time to visit this waterfall is just after the monsoon season.